Are you considering switching your small business phone to VoIP solution? If so, that’s good thinking on your part. You’d be following in the footsteps of a lot of small business owners. 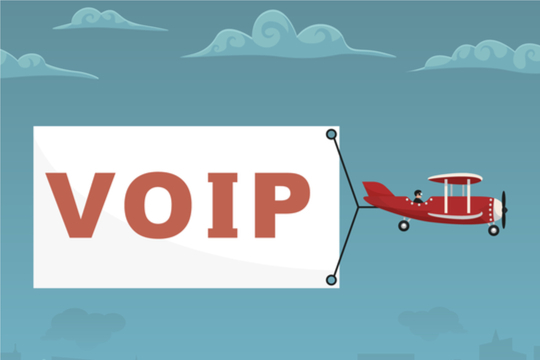 In fact, more than one-third of businesses have already invested in a VoIP phone system. What’s even more compelling is that over 68% of them are small businesses, each with less than 50 employees. Huge cost savings One of the main reasons small businesses are ditching their landlines is due to high costs. Traditional copper telephone lines and networks are costly for the phone company to maintain, and much of that expense is passed on to their customers (that means you). However, with an affordable VoIP phone service like magicJack, your savings can add up very quickly. Because magicJack pioneered VoIP, it costs 63% less than average VoIP providers. What’s even better? There is no annual contract required to use magicJack, and you can easily add or remove lines as employees come and go - always with flat rate pricing. Enterprise phone features at small business price point Say “so long” to sticker shock. magicJack VoIP phone systems offer an incredible feature set at a very small price point. Tools like auto attendant, conference calling, hold music, call forwarding, and custom voicemail are among the many features included. The benefits? They make your small businesses look and sound polished and professional, not to mention more productive. Heavily discounted long distance and international calls Included in magicJack’s phone service are unlimited local and long-distance calls across the US (including Puerto Rico and the US Virgin Islands) and Canada. International VoIP call prices are also surprisingly affordable. For example, calls to Mexico start at 3.8 cents per minute and calls to the UK start at 1.2 cents per minute. We’ve published the costs to call each country, so there are never any surprise charges or fees. **No more busy signals or missed calls **Your phone will always be a critical communication tool for incoming and outgoing calls. Unlike a traditional single-line phone, a VoIP phone system can simultaneously handle multiple incoming and outgoing calls with ease. Add magicJack’s ability to perform enhanced call forwarding and your customers will never hear an annoying busy signal again. Even a power outage is no big deal, as you can simply forward your calls to your cell phone. Setup is a cinch Gone are the days when you have to wait for the phone company to come out to install a new, expensive phone line. You can easily set up your magicJack for BUSINESS yourself. In fact, most customers are up and running in less than 15 minutes. magicJack is very user-friendly, but if you need any help at all, we’ve got you covered there too. Simply call or email our friendly US-based support team. They are there for you 24 hours a day, seven days a week to lend you a hand. So what do you have to lose? Now is the time to follow in the intelligent footsteps of so many other small business owners. magicJack for BUSINESS offers a zero-dollar, 30-day free trial. Give it a try today!